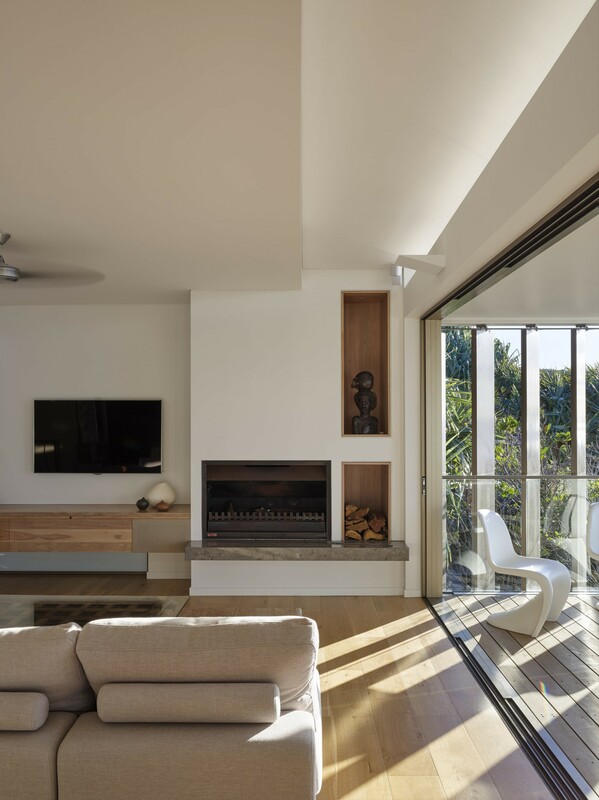 Perched above the Pacific Ocean, the progression of indoor and outdoor spaces, operable layered edges with a natural palette of raw and refined materiality evoke a perfect coastal sanctuary at the Seaview House. 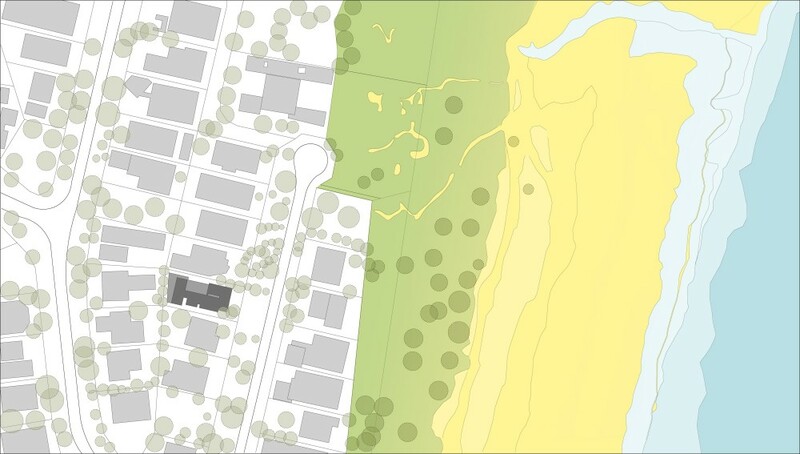 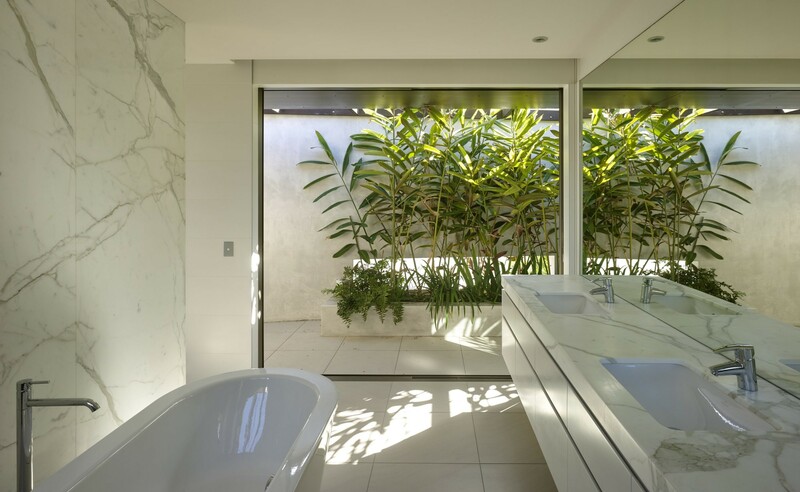 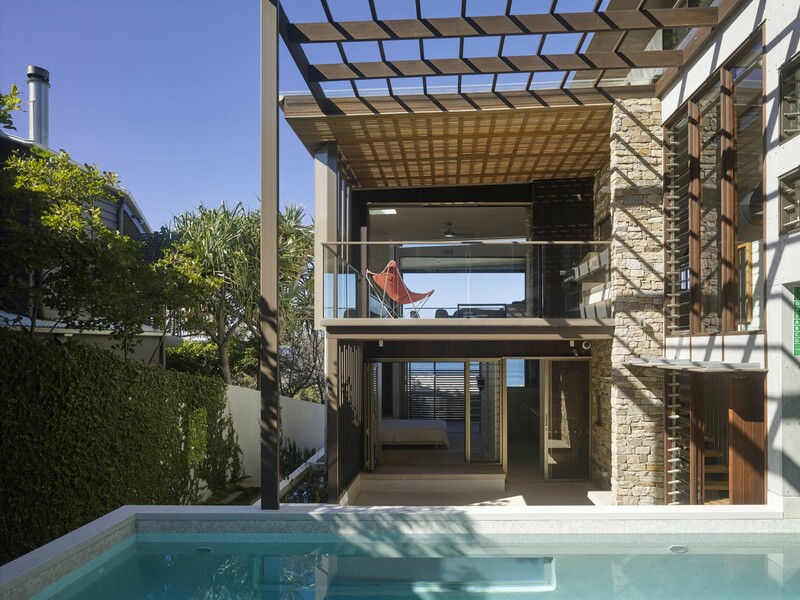 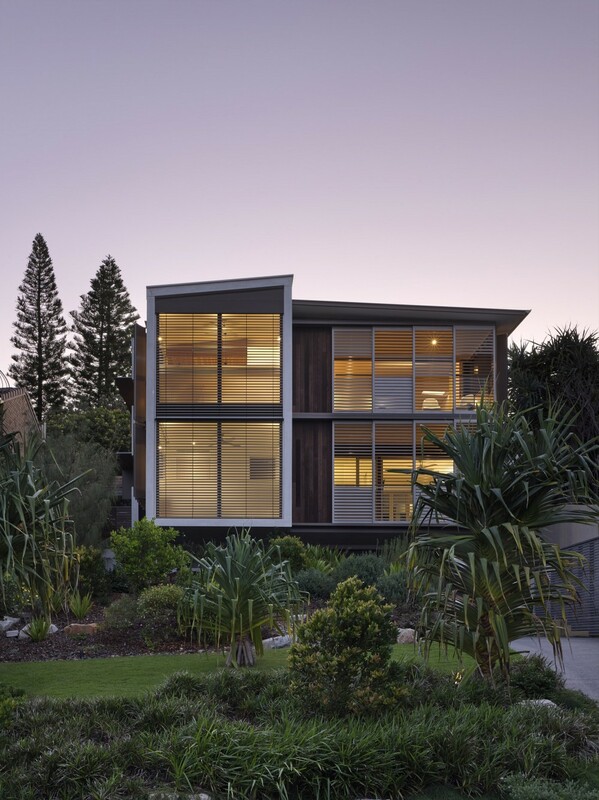 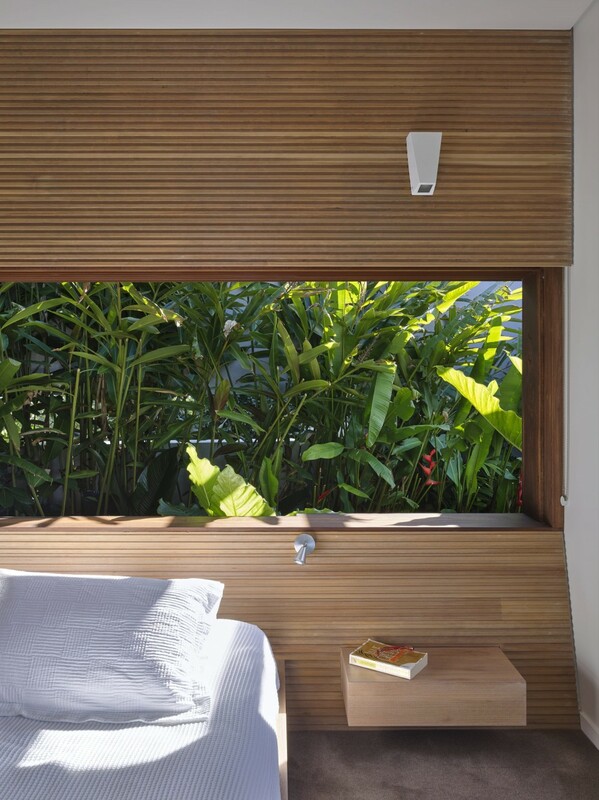 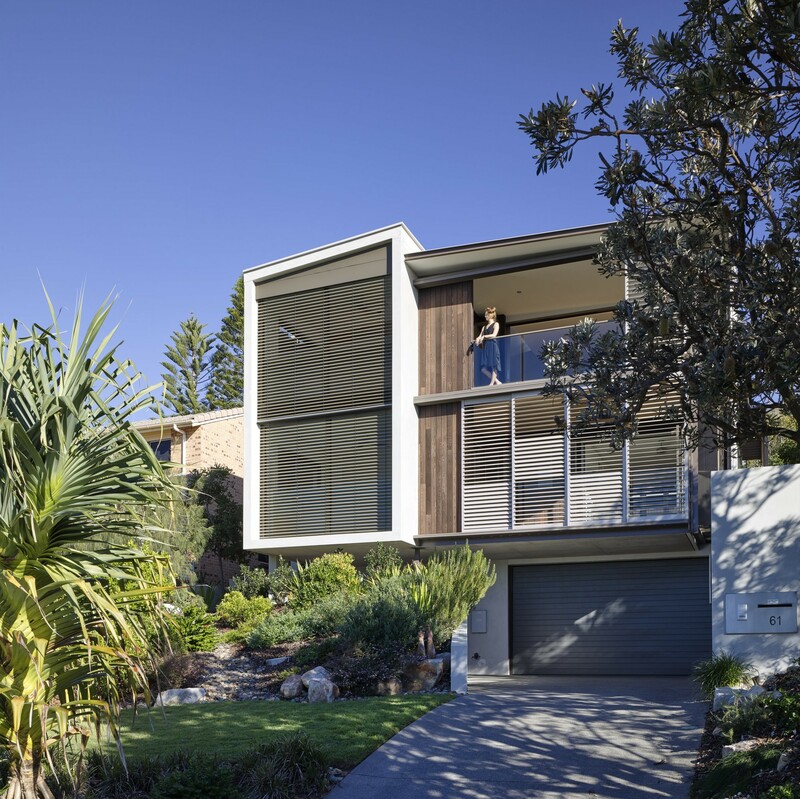 The Seaview House is the second house that Bark have designed for clients Grahame and Carol, who had originally commissioned a build on Sunshine Beach in 2005. 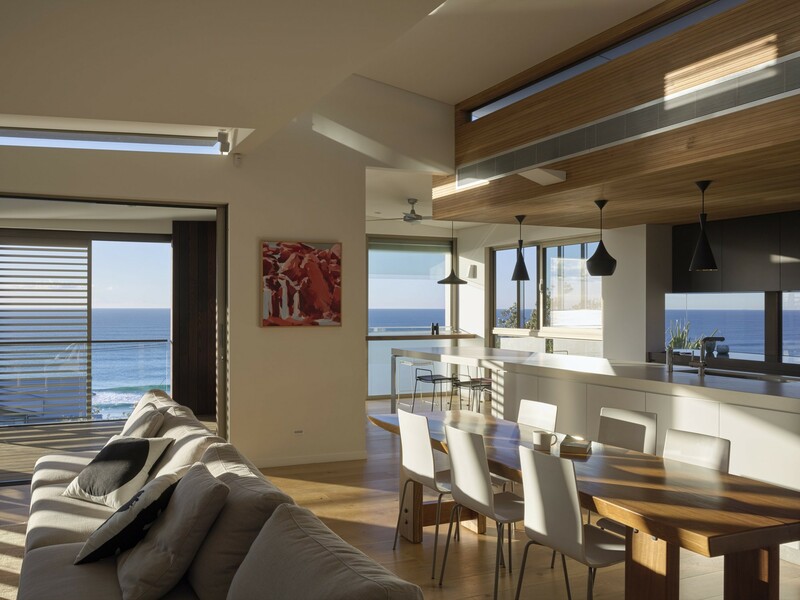 Built on elevated land that is perfectly positioned by the water, this house was designed to highlight views of the ocean. 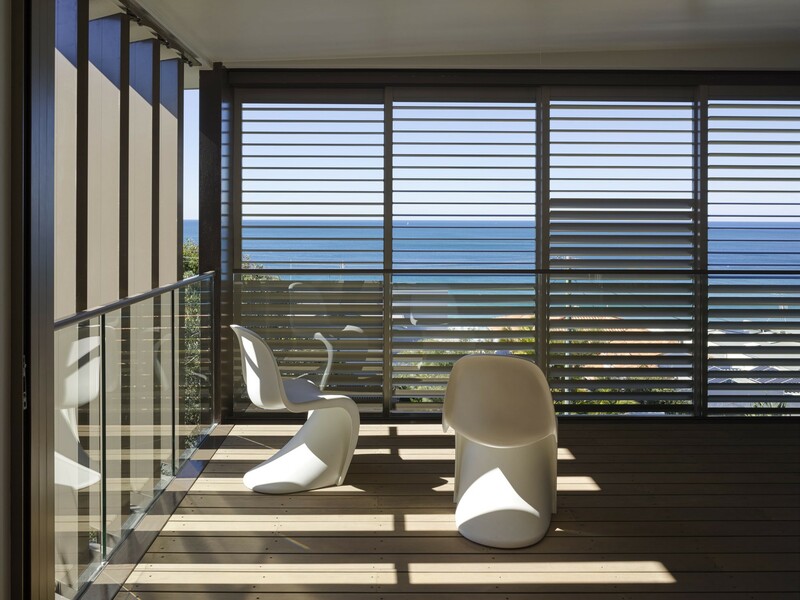 Overlooking the horizon at sea, our intention was for the owners to keep rediscovering this gorgeous seaview from different areas and perspectives throughout the house. 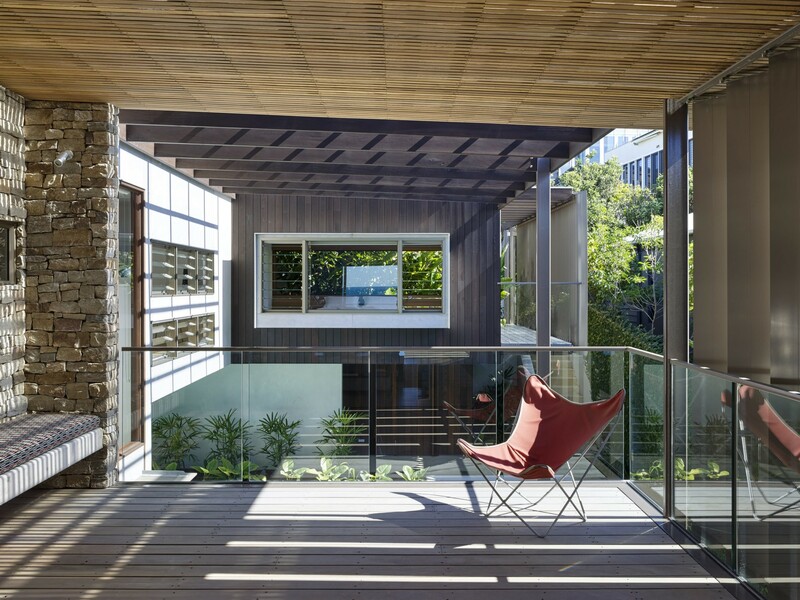 Screens at the front of the house boast substance and simplicity, adjusting dynamically to the sun or tuned to your need for privacy, enlivening the street facade. 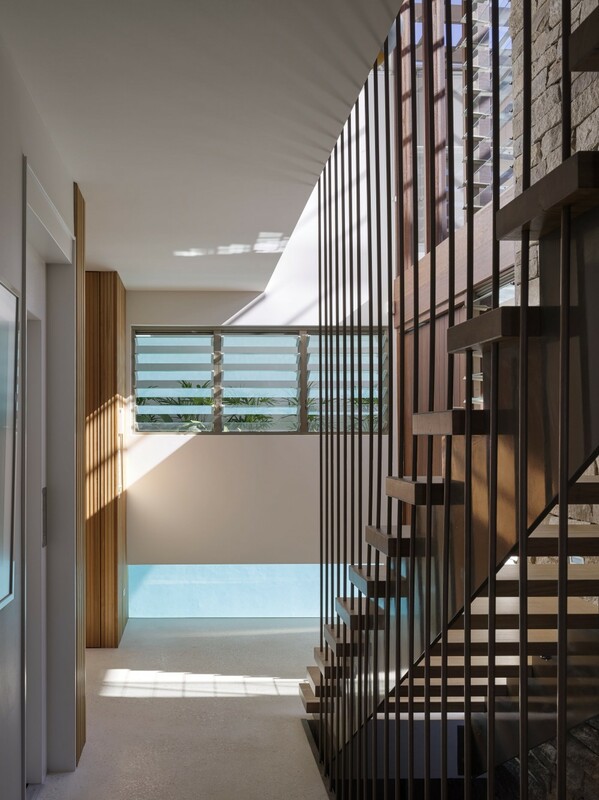 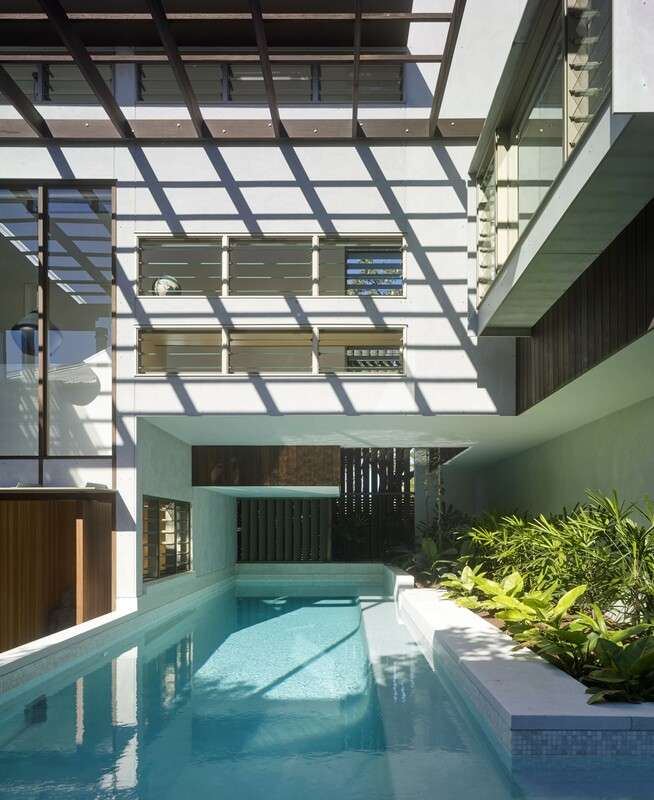 The entry space blurs any clear distinction between inside and outside, with its strong interconnection to the courtyard, pool and outdoor living area spaces. 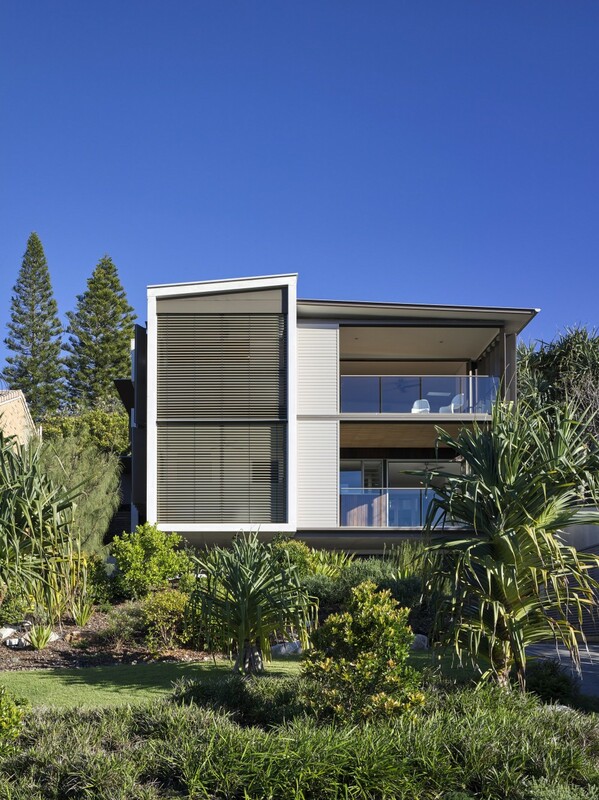 Areas for eating, relaxing and entertaining are located within the living and sleeping zones, which makes for clear spatial organisation to emerge around the central northern courtyard, serving as a place for leisure. 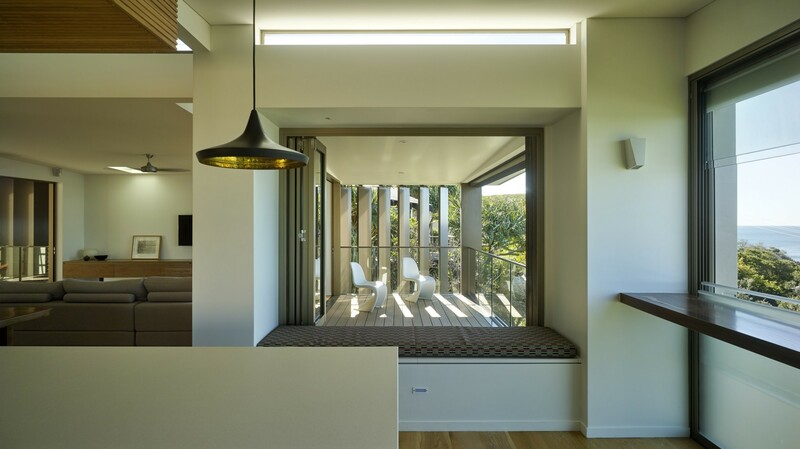 Across two levels in the house, a heavy wall is strategically placed for structure and utility. 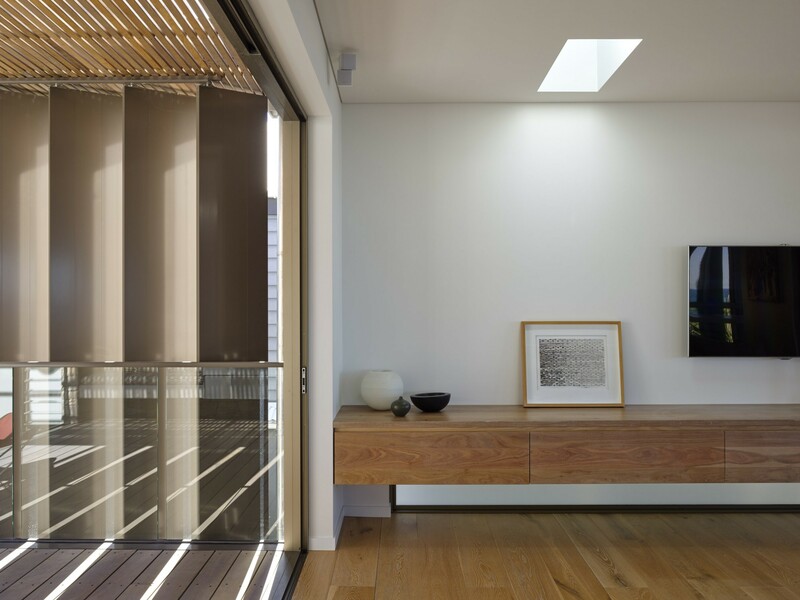 High in thermal mass, this wall affords the occupants a natural central heating system in nooks around the house designed for rest and entertainment. 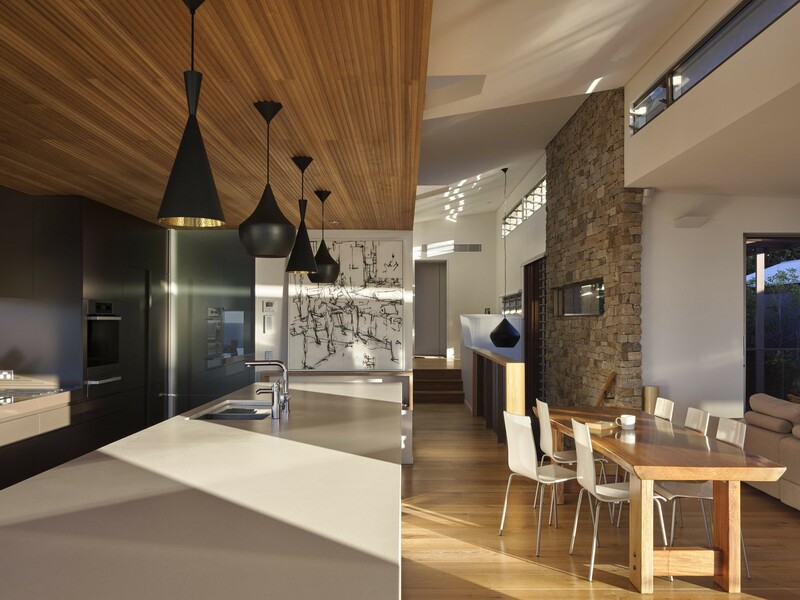 Furthermore, built into it are a fireplace and a barbeque, making this wall a strong, smart and incredibly practical core feature of the house.